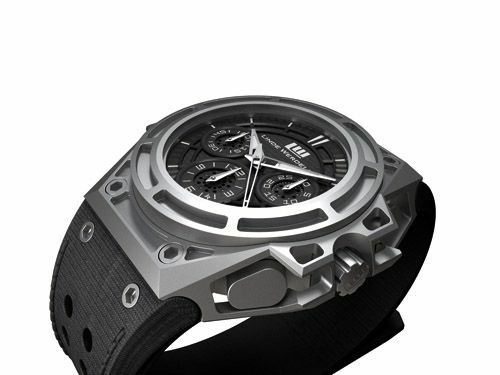 Just over a month ago, Linde Werdelin announced their upcoming chronograph. 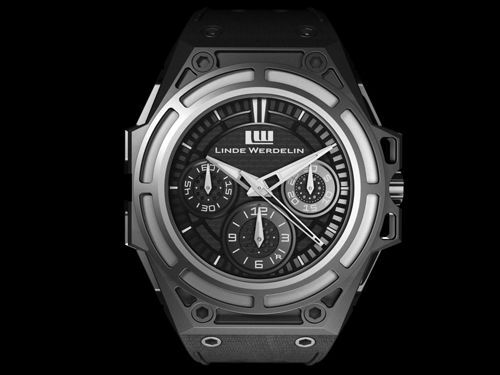 Today is the BIG day and Linde Werdelin announces the SpidoSpeed Chronograph. Based on their famous and successful Spidolite model, the SpidoSpeed features a more complex skeletonised steel case construction with weight reduction technology while always maintaining integrity of strength. 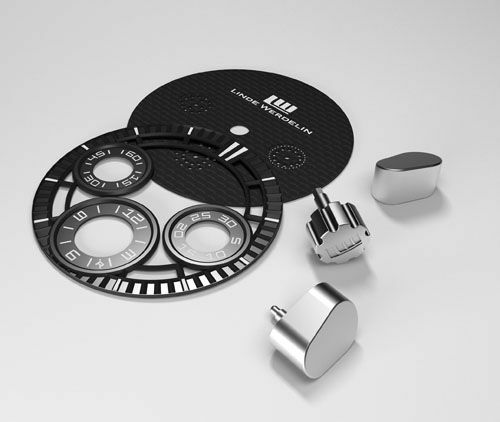 As you can see, the dial construction consists of multiple layers to create the 3-D experience. The pushers of the chronograph are hidden at 2 and 4 o’clock on the side of the case and still allows the ski instrument (The Rock) and dive instrument (The Reef) to be attached to the SpidoSpeed. Development of the completely new case construction and dial for the SpidoSpeed was a lengthy process for Linde Werdelin, it took them two years to finish this timepiece. The skeletonised part of the case has been the most complicated and time consuming part to produce due to its shape complexity. This meant the drilling of the case had to be done using two different sophisticated 5-axis machines. Setting up the 5-axis machine alone, is almost a day’s work! The result is evident though. What I love about chronographs, is their connection with the racing car industry. Remember the old Speedmaster ads with a race car driver or – of course – Paul Newman’s Daytona or Steve McQueen’s Monaco? The SpidoSpeed has a lot of detail in the dial, reminding us of racing car dashboards and the small holes visible on the sub-dials resembling the brake discs. I was wrong with my prediction about the movement (read it here), as this SpidoSpeed features a Concepto movement (2251 calibre). This new movement is partially visible through the sapphire crystal case-back, the specially designed rotor is also graphically aligned with its case. The first (A) edition of the SpidoSpeed is restricted to only 100 pieces and it will retail for €11.760,= Euro. It will be available to order in May 2011. The final product will be unveiled during BaselWorld 2011.